I have always believed that happiness is a choice. Our decisions in life and the consequences that we are willing to take are the key factors in our personal happiness. It's either about being contented of what we have or about reaching our dreams and goals in life. The only most important thing that we have to remember is that we have to begin with ourselves to be happy. I am very grateful that I found my true bliss and passion in life. At the age of 30, I was able to figure out what I want to do. I am not an office girl with her dream job. I am actually a work-at-home professional and I can say that it is not as easy as it seems. I have several (currently 4) part-time jobs that never makes me bored. I used to work for international clients I met through Upwork however late last year, I have decided to work for Filipino clients instead. I believe that our talents should be shared to others in helping their businesses grow and I guess it is about time, we help out start-ups and SMEs in our country first. Just like the famous line "Para sa ekonomiya" It definitely brings much joy to know that you have helped another Filipino through your expertise. Apart from work, I also manage our little rental shop, Bacolod DIY Party Rentals. It just opened a few months ago and it grew out of my love for themed and styled parties. I want to inspire people to be creative and have beautiful parties in their own homes by providing them decorations and equipment that are affordable. Am I busy everyday? Definitely. However, on rare occasions, I still find time to write and blog after a hectic day of household chores, wife and furmommy duties, work and business. Some ask, how do I have all the energy to balance everything? Well, let me share with you my secret. I make sure that I start my day right. My typical mornings start with a prayer, quiet time with my plants and not so quite time with my dogs, a heavy breakfast and Enervon C.
Yes, Enervon C helps me have the energy to be happy. So, make the right decisions. Choose to be happy. Find your bliss and passion and don't forget that once you have found happiness, please don't stop there. #LetsSpreadHappy everyday! Hair loss and unhealthy scalp are one of common concerns nowadays experienced not by the oldies but rather those from the 30-40 age group. Upon consultation with a medical professional, I was told that there are several factors causing this condition yet the most common one is STRESS. It is pretty crazy that the problem that's stressing you out is caused by stress itself. For both men and women, getting bald is definitely stressful. So, how do you do you fix that? Well, we can now all say goodbye to hair loss and scalp problems with the newly-enhanced formulation of Novuhair. With 19 natural ingredients, the leading medicated topical scalp lotion is now almost 100% natural. 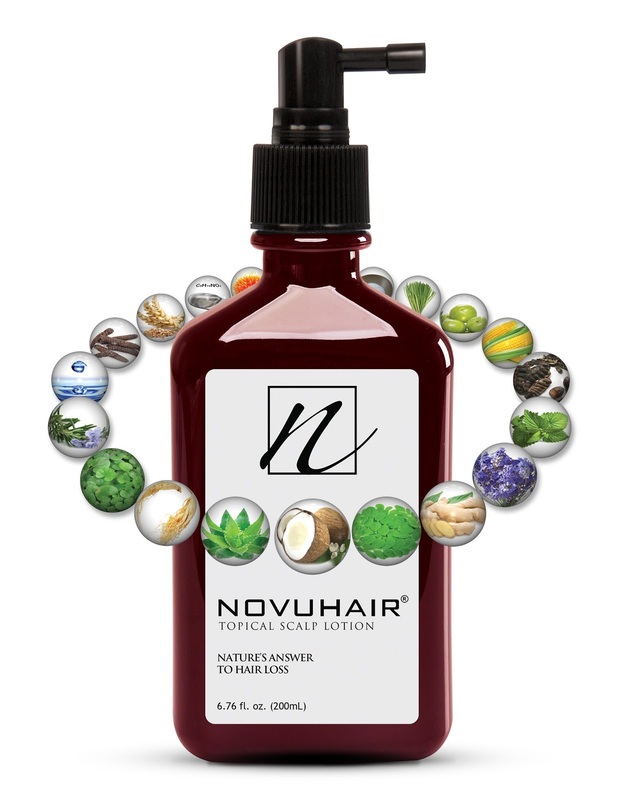 The Novuhair Topical Scalp Lotion used to only have 12 natural ingredients. Its improved formulation has a much better fragrance and a cool and minty feel. It also has anti-dandruff properties, as well as nourishing and moisturizing effects on the hair and scalp,” said Sheila Mae Velilla, CEO of Nutramedica, developer and distributor of Novuhair. This is as they say is all about "Capturing the precise moment." We are lucky to have been born in time where cameras are available. It is such joy to reminisce the past by looking at our birthday photos, first times in our lives and other important events. We are the generation that grew up transitioning from traditional cameras (the ones with films) to digital which ranges from an ordinary point-and-shoot digicam to SLRs, DSLRs, camera phones and now the popular action cams. With the given technology, one need not be a superb artist nor professional photographer to capture precious family bonding moments, summer outdoor activities and amazing rendezvous, on or below sea level. Facilities offering extreme adventures such as Zip line and the likes are mushrooming everywhere. Active lifestyle is the in-thing that needs a gadget that corresponds and chronicles each memorable experience. 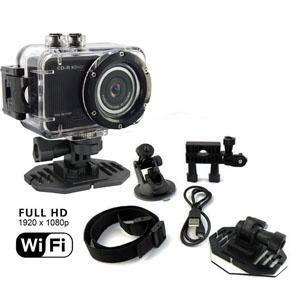 Cd-r King, Your one-stop media provider offer its patron, The Action Cam. It has a waterproof casing with waterproof rating of IP68 (Ingress Protection). 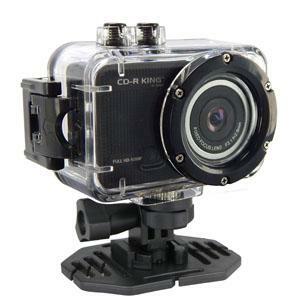 Cd-R King’s Action Cam carries an LCD Display of 1.5" TFT (Thin Film Translator) and is HDMI 1080p capable with Image Resolution capacity of 4000x3000/3648x2736/3264x2448/2560x1920 and Video Resolution of 1920x1080@30FPS1280x720@60FPS/1280x720@FPS. It is not a surprise that CD-R King have their own version of the popular cam with is definitely affordable and of good quality. If you are planning on getting one, watch this video taken using CD-R King's The Action Cam. I just took note of the date when it happened so that at least if Cheesecake gets pregnant, I would know when to expect her delivery. Well, she really got pregnant and last March 5, 2016, was the big day. I was excited and scared at the same time. Cheesecake started panting and was very uneasy. She did not want to stay in the whelping box we prepared. (I guess it was my fault since we really did not train her to stay there and she's so used staying on the little bed we made for her inside our room.) I was so lost and have no idea what will happen. Val had to go to work so technically, I am the only adult or let's say human at home. I have been researching online on what to expect, dangers and what should I do in case of an emergency. I even contacted my cousin, Macil whose a doctor and my friend Jen who recently had a dog that gave birth. I was like a husband outside the delivery room -- excited, scared and helpless as I hear Cheesecake crying, panting while giving birth. She gave birth at exactly 12:36 AM. I wasn't sure if it's a boy or girl and was undecided with a name. We wanted it to start with the Letter C just like his parents, Crumpy and Cheesecake. 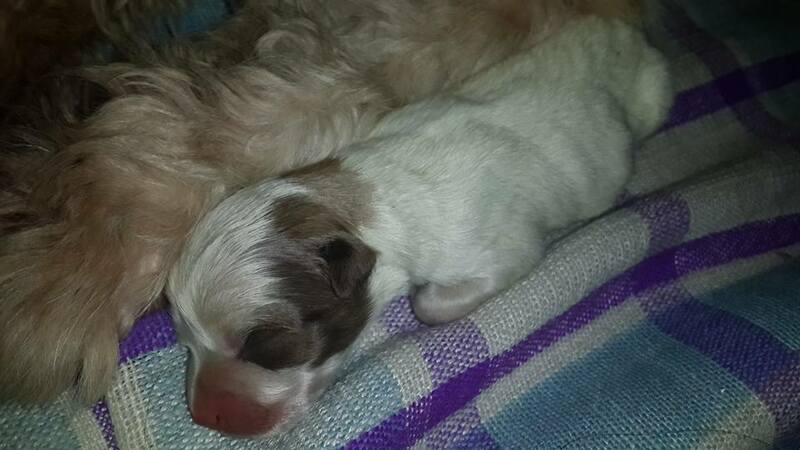 I was so happy to see the little puppy beside Cheesecake though I won't be able to hold her yet. I was so contented watching her from afar. I did not sleep that night. I just wanted to make sure that they are both safe and okay. It is a wonderful feeling of seeing another bundle of joy coming into our life. Our family is getting bigger. I did not care about our plan not to have another dog anymore. More barks mean more fun. I was ready for another lifetime commitment to see those little toes grow, watch those little eyes open kiss that red nose (just like Crumpy's) and give this little furbaby a life that she deserves. Day 2 was as just as wonderful. I was very concerned about the welfare of Cheesecake. She was still heavily panting and I was so worried since I read stories about placenta did not go out or other pregnancy complications. Good thing, Cheesecake was eating and drinking well. We found out that furbaby was a girl yet still do not have a name. We decided to call her "Baby" for the time being. She was okay and got all the attention of Cheesecake since there are no other puppies. We moved them to the living room since it was warmer. Unfortunately, Cheesecake was crying all night since she was not used to sleeping away from us. We all decided to sleep downstairs instead and slept together. This is what Ohana is all about. Well, I was not really able to sleep well. A little bit of sound and I would wake up immediately. I was just so worried and scared. Then the worst thing happened, it was the afternoon of March 7 when we lost "Baby" It was only a few hours that I was not really paying attention since I had to work. I work from home but had to send out some emails for a client so I stayed inside the room leaving them outside. Perhaps it was after 2 hours that I was not able to check on them when I saw "Baby" lifeless. I was shouting and crying at the same time. I did not know what to do during emergency situations. I did not know what was wrong but I lost our little furbaby. It was painful. When you treat someone as your family, it would not matter how long you had each other. She was able to capture my heart immediately. I cried and cried. No matter how painful it is, I realized that you still have to do what you have to do. I looked for a box where we can place her. I made a little bed inside the box and placed her there like a little angel sleeping. However, I asked Val to close the box because I can't do it myself. We decided to bury her in the garden the same night. Lit a candle, placed some flowers and offered her a prayer. I was lost. It was heartbreaking. Val had to work that night. I had to deal this on my own. There was a feeling of guilt. I felt I did not do enough for her. I was thinking of what I have done wrong. Tears were just overflowing. It was one of the saddest moments of my life. Whenever I think of her, I still cry. They say that crying is part of moving on and moving on is not about forgetting. It is all about acceptance of what happened while keeping the memories inside your heart. I am writing this since it's been a month since we lost her. In memory of my little furbaby, please remember that you will always be loved. Have fun in the rainbow bridge. You're ready to tear your hair out. You're tired of looking at the same arrangements in your home and you are ready for a change. You have an extra bedroom that make a great office. You think it's time to add one more bathroom to give everyone in the family more flexibility. The kitchen is another priority. You want to enhance this space that acts as the heart of your home. That's all well and good, but you have no idea where to get started. 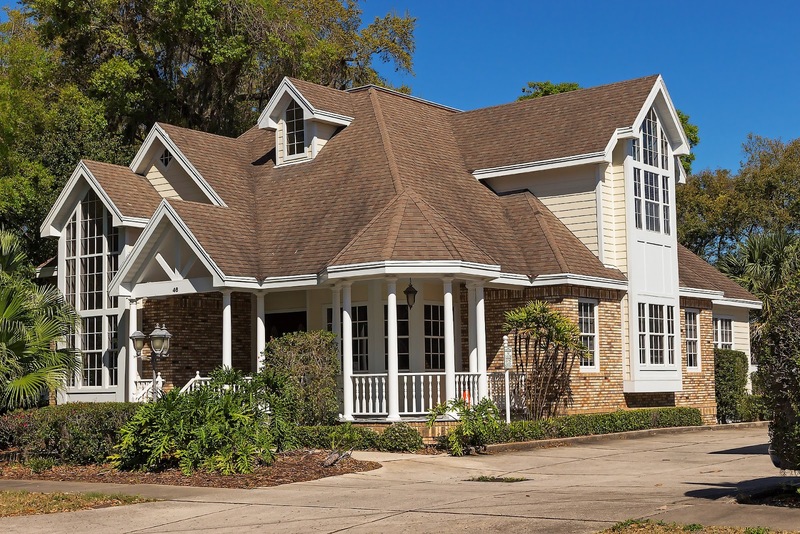 If you are going to give your home an overhaul, you don't want to be vague about it. Whether you review magazines, look online, or get home improvement books, take a look at your alternatives. Find exactly what you want for your home. This will give you a starting point. It will also help you when you are dealing with contractors. If you are going to get a good idea of what will be involved in your project, you need to know where you are going. Don't jump at the first name you see. You may have friends or family members that have recommended reputable companies to take on your renovations. Before you settle for anyone, make sure that you have explored all of your options. With Renovation Experts, you will have access to a network of contractors that includes thousands of qualified providers from across the country. When you fill out the online form that is available or call in to provide the details about your project, you can sit back and relax. Someone will be in touch with you. As area contractors receive the details about your project, they will contact you in order to review the job. They'll also offer you an estimate, helping you to make an informed decision. You want to know what you are getting into before you hire anyone. 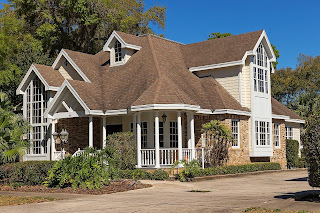 After considering your options, comparing quotes, and looking at reviews, you can select a contractor who will take your ideas and put them into action. You'll finally get what you want out of your home. It simply takes placing your home in good hands. Get a quote for free here from Renovation Experts. It won't cost you a dime and will give you the thrill of getting started. I have always wondered what is it like to meet one of the geniuses of our time. Last January 31, 2016, fellow Filipino Abby Asistio was very lucky to fly to San Francisco and have the wonderful opportunity of being chosen as one of the eighteen invited by Facebook on their 12th Anniversary Friends Day celebration with California-based Alopecia awareness advocate, Rachel Regal. Alopecia is an autoimmune condition which results in partial or total head and body hair loss. Abby Asistio have had it since she was four while Rachel just developed it sometime in 2012, the same year she discovered that her 10-year-old daughter, Eliana, had it, too. 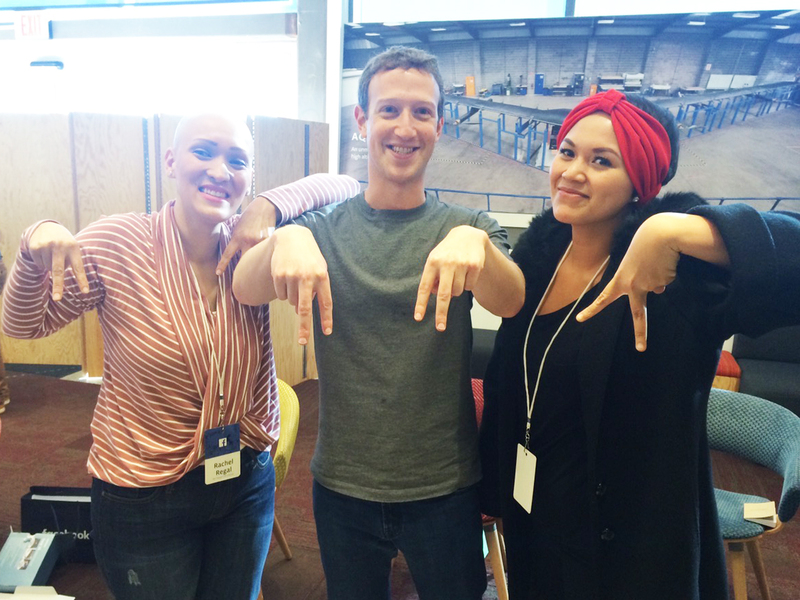 Six inspiring stories were picked by Facebook among its 1.64 billion users and Abby’s friends were all amazed when they’ve found out that Abby’s Alopecia story was one of them. Isn't it amazing? Abby and Rachel met each other through the double A hand sign campaign that Abby started in 2012, and They've been "connected" since then. Last year, Facebook Stories featured how these two were able to build a friendship, as well as campaign for disease awareness through Facebook! And last February 1st, Abby and Rachel had the chance to tour FB headquarters in Menlo Park, San Francisco, meet and chat with the people behind Facebook (Founder & CEO Mark Zuckerberg, COO Sheryl Sandberg, CPO Chris Cox, and a whole lot of awesome people), get crazy cool gadgets and have one of the best experiences of their lives. Truly, God plans the best adventures and creates the most beautiful surprises. Abby knows that she wouldn't have been handpicked for this if it weren't for Him, as well as the countless individuals who have cared and showed support for my advocacy. Abby would like to leave a positive thought to everyone that we should really take the time to search for and identify our “purpose” – that one unique, very specific calling that is the result of our talents, dreams, desires, passions and experiences. Once you find it, be faithful to it no matter how long or difficult the journey towards its fulfillment may be. You’ll never know where it could lead to, how far it could go and how large it could grow. Abby is also thankful that her campaign continues to spread and reach new heights and she is particularly grateful to Facebook for giving her this opportunity and to Novuhair, Nature's Answer to Hair Loss (www.novuhair.com), for always being so supportive of her advocacy and endeavors. Abby is proud and honored to have represented the Philippines and the Alopecia community in this once-in-a-lifetime, international event. Check out Abby's friends day song.